17-year-old Namgyal Wangchuk Trichen Lhagyari is a direct descendent of the seventh-century Tibetan King, Songtsen Gampo. Living in exile in Dharamsala in Northern India, Namgyal was entrusted by the 14th Dalai Lama to serve "the spiritual and temporal affairs of the Tibetan people". BYkids' Film Mentor Dirk Simon, whose film Between the Lines has received worldwide recognition, worked with Namgyal to help him tell his emblematic story through film. Namgyal carries the vision of two worlds: the one-thousand-year-old traditions of Tibet's Dharma Kings and the current struggle of a people striving to survive under repression, abuse and ethnic genocide. 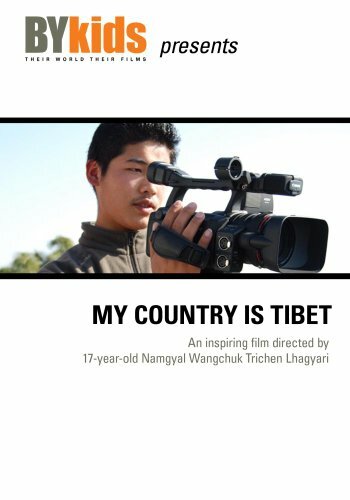 Filmed, directed and narrated by Namgyal himself, My Country Is Tibet shows the efforts of the people in Namgyal's community to overcome the obliteration of their very identity – their culture, their languages, their freedom to choose where they live and work. My Country is Tibet received official selections and awards at film festivals, including AFI SilverDocs, MY HERO International Film Festival, Hollywood Reel Independent Film Festival, Sun Valley Spiritual Film Festival, Banff Mountain Film Festival, Action on Film Festival, Asian American International Film Festival (One to Watch award for youth filmmaker) and DocMiami International Film Festival (Best Short nomination). BYkids believes that we can understand the world's challenges–-and how to best meet them–-through the personal stories of young people. BYkids is a global educational movement that uses storytelling through film to inform, engage and inspire action. BYkids provides kids around the world with both the video cameras and the mentoring to make documentaries about their lives. Renowned filmmakers mentor these young people in the art of filmmaking. Through innovative distribution platforms, BYkids enables these fresh, new perspectives to be seen and shared by a global community. Join us at BYkids.org. If you have any questions about this product by BYkids, contact us by completing and submitting the form below. If you are looking for a specif part number, please include it with your message.